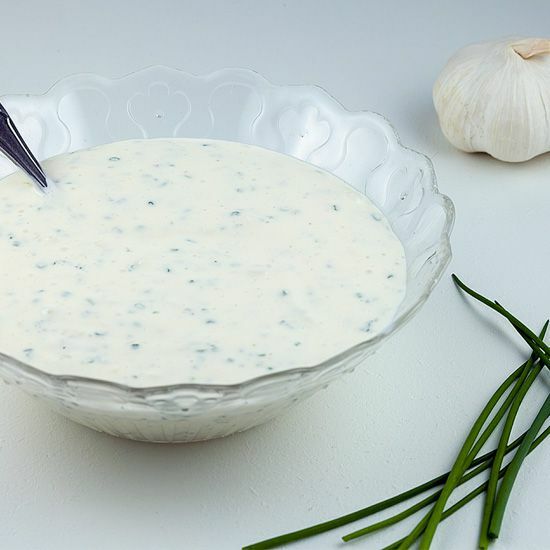 Homemade garlic sauce can be made to your own taste, with more or less garlic. An easy sauce that's ready within 10 minutes. PEEL the garlic clove and chop them as fine as possible. We never use a garlic press, we prefer to chop the garlic with a sharp chef’s knife. 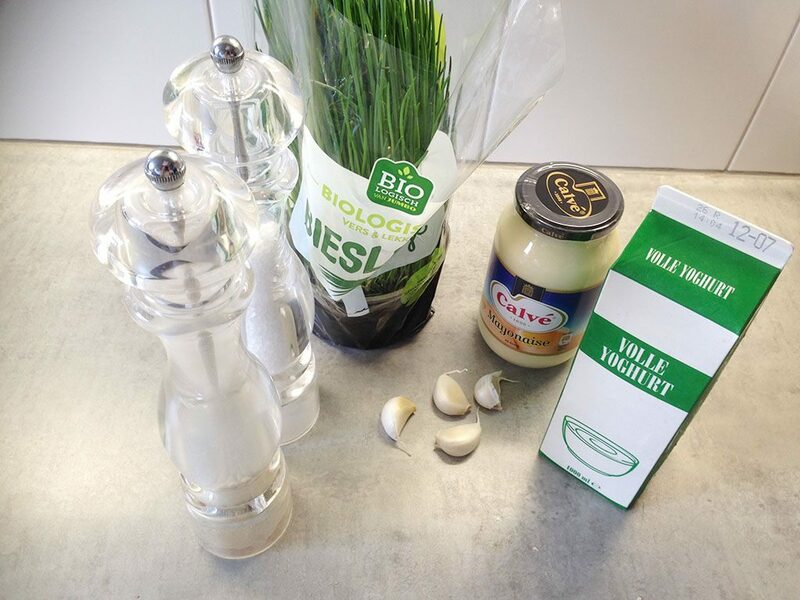 Finely CHOP the fresh chives. 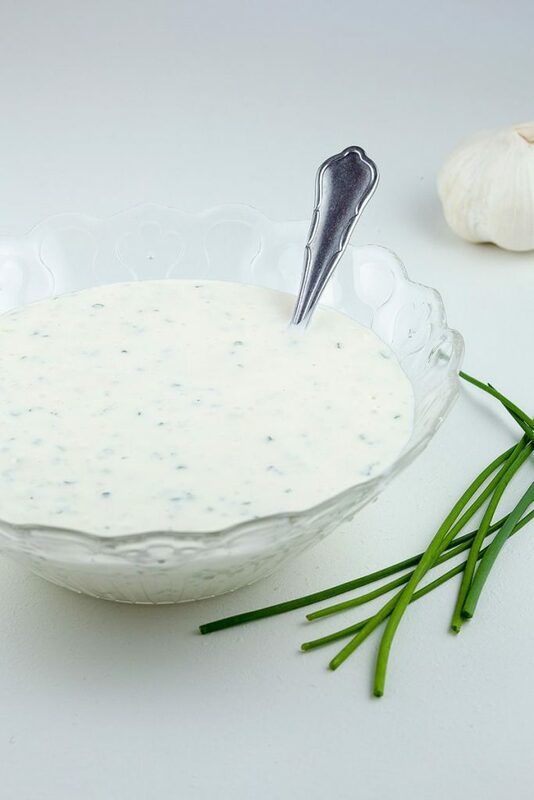 COMBINE the chopped garlic and chives with mayonnaise and plain full fat yogurt. SEASON the sauce with pepper and salt. You can make this sauce ahead of time, this way the flavors are even better. 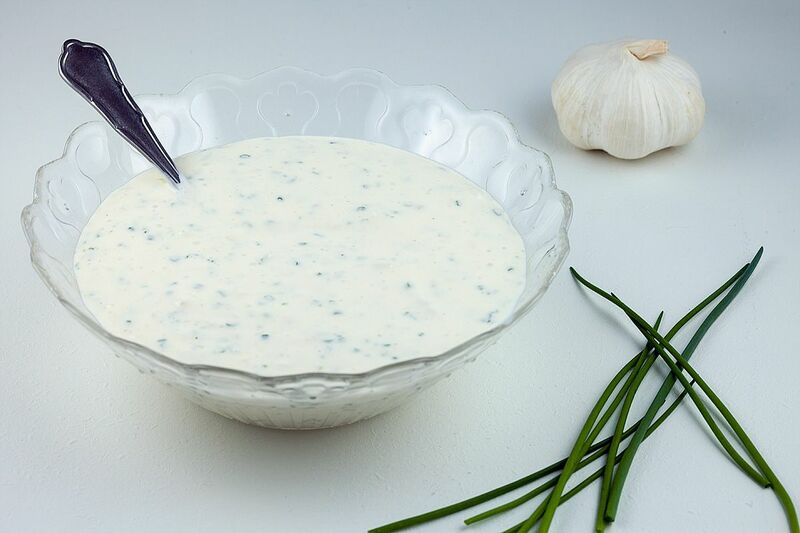 Delicious sauce to serve at your next barbecue gathering or e.g. on top of a pizza. Enjoy!